A number of car detailing services are touting ceramic coating as a solution to a number of car problems. Oxidation, scratches, dirt, waxing and so many other problems they say are solved by applying ceramic coating. It does seem too good to be true and to some extent it actually is. There is quite a buzz out there about it and before you decide to go out and get it done for your car, it is best to know the truth about it and what it can actually do for your car. Ceramic coating is a protective film for car paint. It is a liquid polymer that will chemically bond with the car’s factory paint. You could call it a substitute for car wax that does not need to be reapplied often. It is important to note that it is not the same as paint protection film since it is rather limited in what it can do. There is a lot of hype about ceramic coating and as I mentioned earlier, there are also claims about its ability which are just not true. Here are some of the things people think it will do but it really cannot. It cannot cover scratches that are already there, for that you need to re-spray and the coat. With the right care, you can keep your vehicle looking as good as new. Here are a few things you can do to achieve that. You will have to wash the car with the right equipment, avoid using fabrics that are known to cause scratches and swirls. 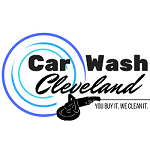 Do not wash the car in direct sunlight, because as the water dries off the body, it may leave marks on it.